HomeCan Your House Design Services Company Do Simple to Elaborate? Your new house design might be for a simple two or three bedroom home, a mansion, a duplex, or other multi-dwelling structure. Are the companies you are visiting with for house design services capable of handling all of the possibilities? You can find out the capabilities of home design companies by doing three simple things. 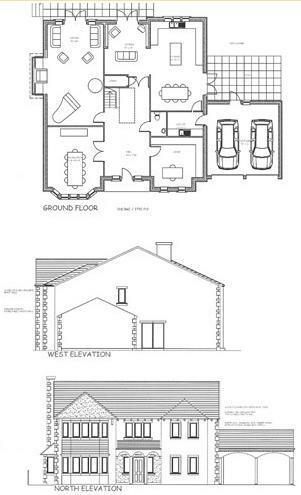 Ask for free house design quotes and consultations. Talk to their prior clients. Which of these items should you do when choosing the team to create your house construction drawings? You should do all of them. Some companies may not offer a free consultation or quote. Other companies may not keep a sample of their portfolio online. Some drafting companies may hesitate to allow you to talk to their previous clients. If a company does not offer free house design quotes along with a consultation by phone or in-person , you may wish to move on to your next choice. This is the time you get to know the company and find out if they are a match for your needs. Drafting Concepts Pty Ltd is one of the companies who offer these services. 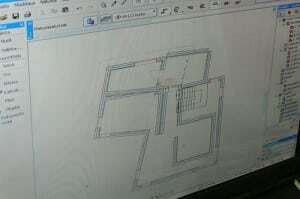 Give Daryl Wood at Drafting Concepts a call and he will schedule a time to visit with you about your new house design. If a company does not show any of their work on their company website make sure you ask to see samples before agreeing to let them produce the house design plans for your project. Drafting Concepts has a portfolio of numerous properties on their website ranging from simple homes to an elaborate multi-story mansion built into hillside with an underground garage. Their portfolio shows amazing flexibility to create designs for almost any size of home. References from previous clients should be a requirement. Check a company’s website for testimonials, but also ask them for other references. Daryl Wood and Kwang Ja Lim of Drafting Concepts happily provide you with contact information for their previous clients. They know the clients are satisfied with the results. Their website offers testimonials from buyers on 4 recent projects helping you get a quick understanding of the quality they offer. This is something you should look for from anyone who is wanting your to hire them for your new house planning and design. Should You Trust Information on Their Company Website? You might wonder how safe it is to trust information provided on the website of any company providing house design services. Surely they provide you with only the best testimonials and drawings from their portfolios. This is true with any company including Drafting Concepts. This is why you should always go the extra step to ask for references you can call and talk to. You will get a clear idea of the capability and reliability of a design company when you talk to their clients. The team at Drafting Concepts is always confident at allowing you to talk to clients. They enjoy their clients talking about them. As a further recommendation, do not only ask for references from home buyers, seek references from builders, too. The builders will give you an insight into their comfort at working with the drafting team you are considering for your new house design. The builders you are considering are the people who will be working with the drafting team closely during the construction of your home. Their belief and comfort with the plans is important. 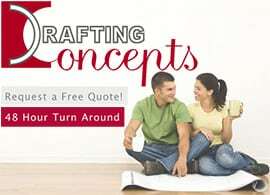 Since Drafting Concepts offers you a chance for free house design quotes, give them a call and check into the facts about their company. You will be excited to hear the great reviews which come from home owners and the builders who have worked with them.